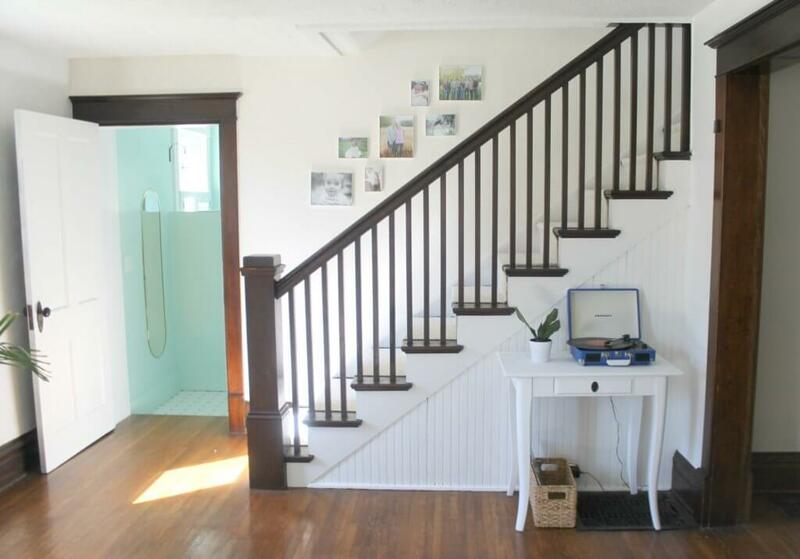 Does it mean you’re old and boring when you get excited about a staircase makeover? Like most of the projects in our new (old) house, I think this falls under the “refresh” category, more than the renovation category. This corner of the room was really bugging me though, and I finally decided it was the visual weight of the dark wood. We knew we were going to replace the old blue runner since it was not in great shape and not our style, so painting was now or never! 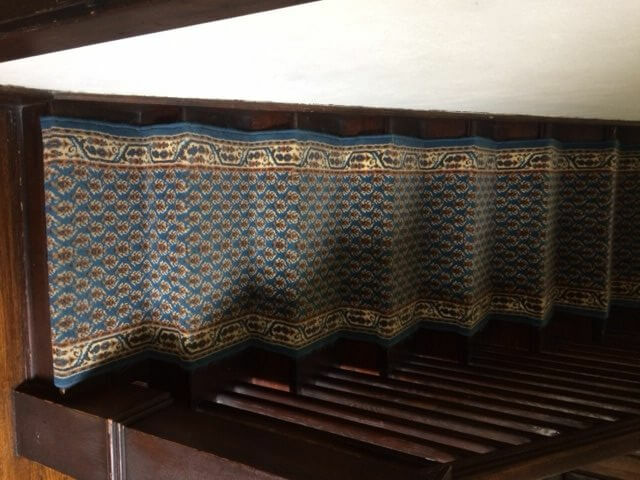 While it wasn’t a hard project, it certainly was tedious–cutting in on every riser took longer than I expected. I spent naptimes painting for 2 weeks! Better, yes? At first I really wanted a jute type runner, but I also didn’t want it to be scratchy or shed all over. Also, price was my number one concern. 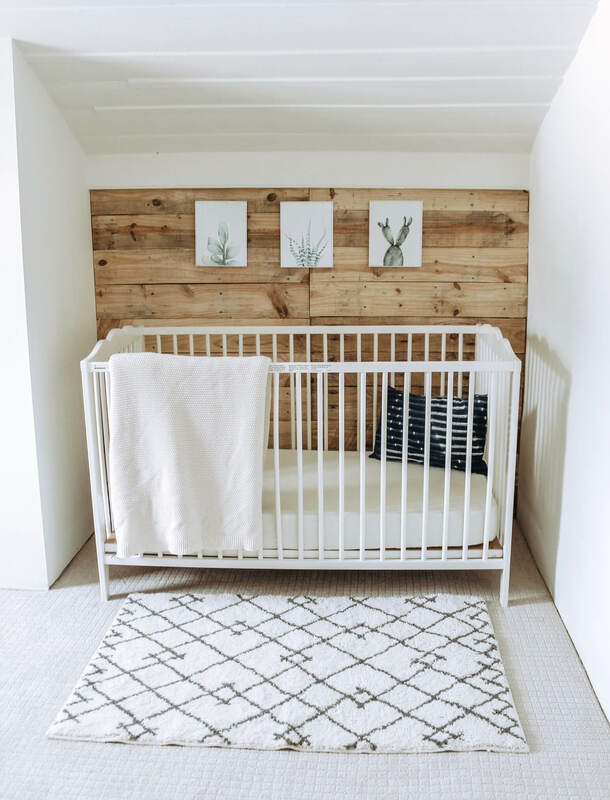 I found this cotton runner rug on Overstock (they are out of stock now), and I love it! It is super soft and has a rag rug look. It took two 12 ft runners to do our staircase and the total cost for both was only $98. 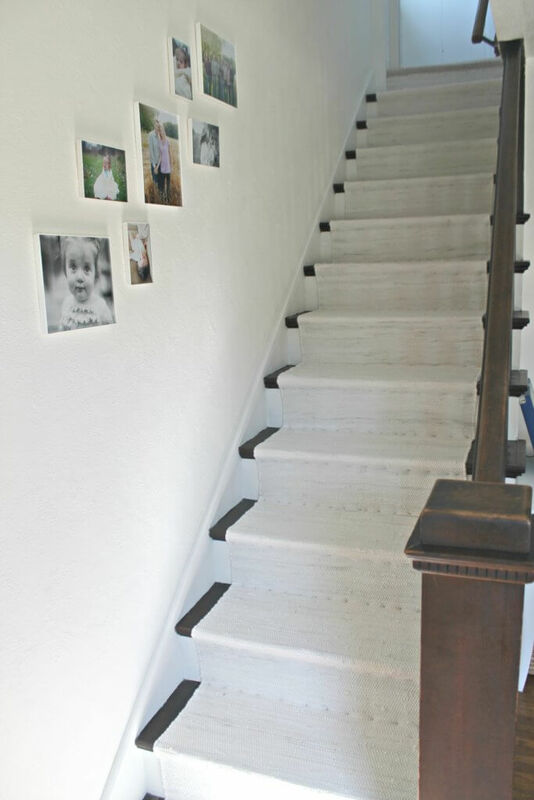 I just used some white paint from my stash which means the whole modern staircase makeover cost less than $100! I think it really just freshens up the whole room now, once we got rid of the dark wood. The scary thing? 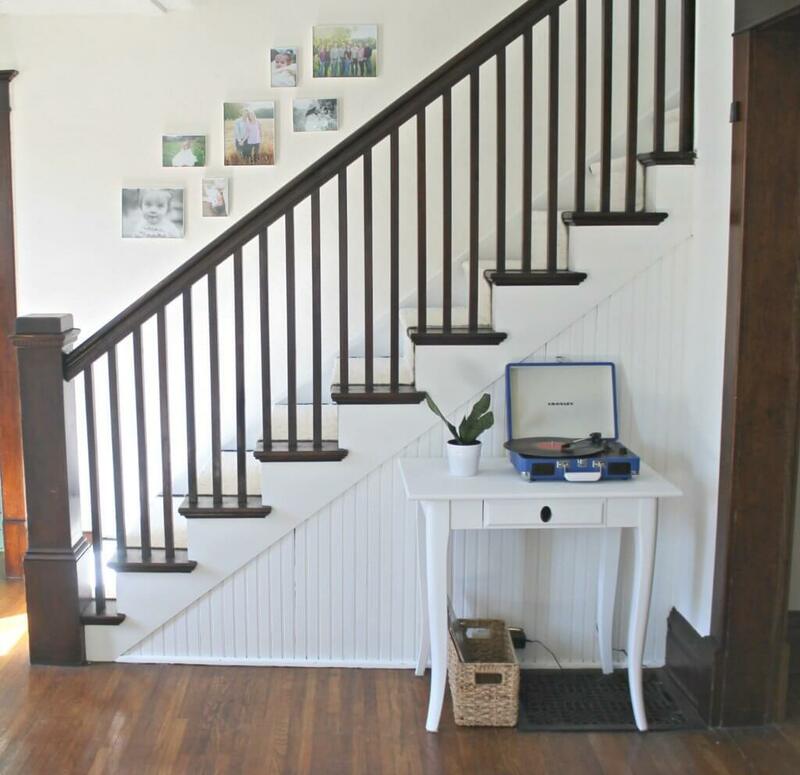 It kinda made me want to paint all the trim in the house–yikes. I still can’t wait to decorate it for Christmas, but for now I’m pretty happy enjoying it as is. What about you guys? 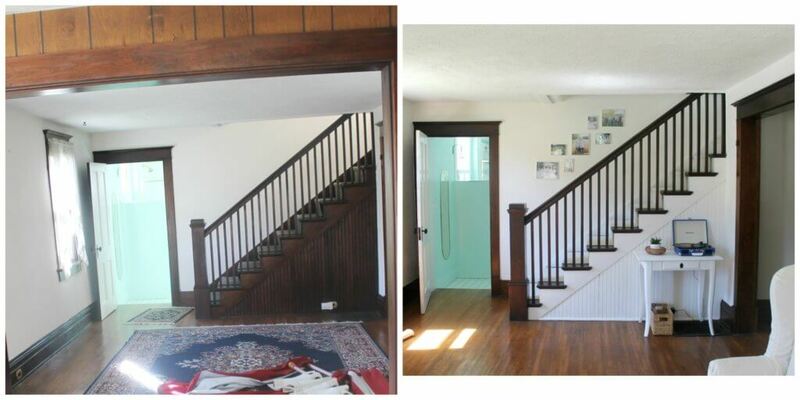 Have you ever thought about tackling a staircase makeover? !